The Northfield neighborhood consists of large, higher end homes with many floor plan options and plenty of room. 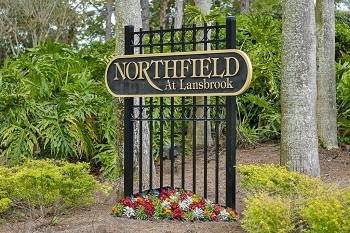 Being located in Lansbrook, much of this community overlaps into the city of Tarpon Springs, FL. but for all intents and purposes it is a Palm Harbor subdivision. Homes here have very spacious interiors with an average of 3000 sq ft or higher, and with 3 to 5 bedrooms and up to 4 full bathrooms. Lansbrook is a great location because it essentially sits on the midpoint between Pinellas, Pasco and Hillsborough Counties, offering easy access to Tampa and all the other major cities in the area. On top of that, it's close to golf courses, highly rated schools, shopping and malls, restaurants that are local favorites, and more! Living in Lansbrook offers you a chance to see all that Tampa Bay has to offer without living in a really high-traffic and busy area. Call an agent here at Lipply Real Estate to learn more about the beautiful community of Northfield! Selling your home in Northfield? Our team of dedicated agents with years of expertise selling in this area would be more than happy to speak with you about selling your home or condo. We can get you not only the best deal, but get it done quick and efficiently. Call us today!